Veerey Ki Wedding trailer must not be confused with the trailer of Sonam Kapoor and Kareena Kapoor's Veere Di Wedding. 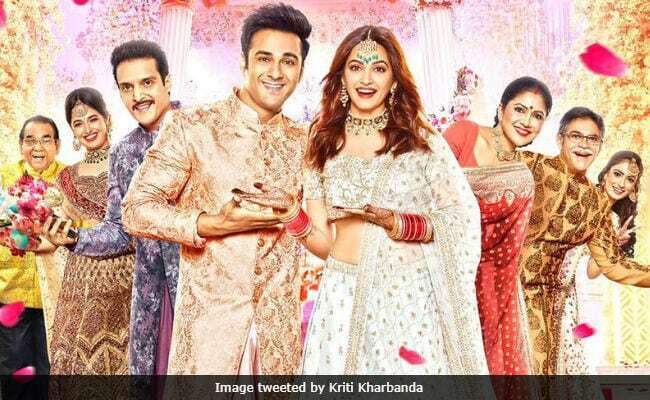 Pulkit Samrat and Kriti Kharbanda's Veerey Ki Wedding is anything but a laugh riot, as it seems from the trailer, which released on February 1. The film, directed by Ashu Trikha, chronicles the story of Veer (Pulkit Samrat), who is in love with Geet (Kriti Kharbanda). They want to get married but their families are not interested in getting them married because of Veer and his elder brother's (played by Jimmy Sheirgill) rowdy nature. Yes, the plot of Veerey Ki Wedding is as cliche as it can get. Of the similar titles, Pulkit Samrat told Deccan Chronicle: "Five movies have released on Bhagat Singh. Same title, same story. For us at least the story is different. The makers had the title already. And what I feel is that both are different films. So once we are done with Veerey Ki Wedding, we'll definitely look forward to Veere Di Wedding." Veerey Ki Wedding also stars Satish Kaushik, Supriya Karnik and Yuvika Choudhary. Bigg Boss 11's Sapna Choudhary also has a special song appearance in Veerey Ki Wedding. The film is expected to hit the screens on March 9. Meanwhile, Veere Di Wedding is directed by Shashank Ghosh and it is produced by Sonam's sister Rhea Kapoor. The film also features Swara Bhasker and Shikha Talsania. Veere Di Wedding will hit the screens on June 1.